http://autos.groups.yahoo.com/group/vintageJcycles/ This is the Yahoo! newsgroup where you can register free (it is supported by advertising), post questions, and search for other questions. As far as I can tell, this is currently the best site for CD175 owners. You can also get in touch with people who might have parts for sale, or to sell parts. 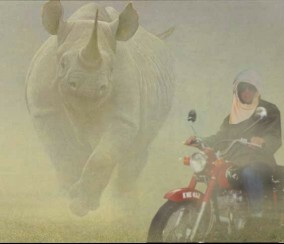 http://vjmc.org./ Vintage Japanese Motorcycle Club home page. http://www.carlaking.com/ Carla King's Motorcycle Misadventures website. I thought the adventures of touring with the Ural were very funny, as are most Ural trips. She also has some views on world peace, a concern for most motorcyclists traveling outside the beaten path. http://www.davidsilverspares.co.uk/ You can find new Honda CD175 parts - you can also get reproductions of the Honda CD175 mufflers here. http://www.westernhillshondayamaha.com/fiche_select.asp This is in Ohio, USA. They have an online parts fiche, My CD175 is listed under Honda > 1969 > CA175K3. It also has the CB175 which may be of some use. CAUTION TO CANADIANS: If you order stuff from the USA and it gets shipped via UPS, you will get hit with an extra brokerage fee after delivery (above and beyond what they told you the shipping cost would be). THIS IS A RIP OFF. The US Postal Service so far has never charged me for brokerage fees this way. 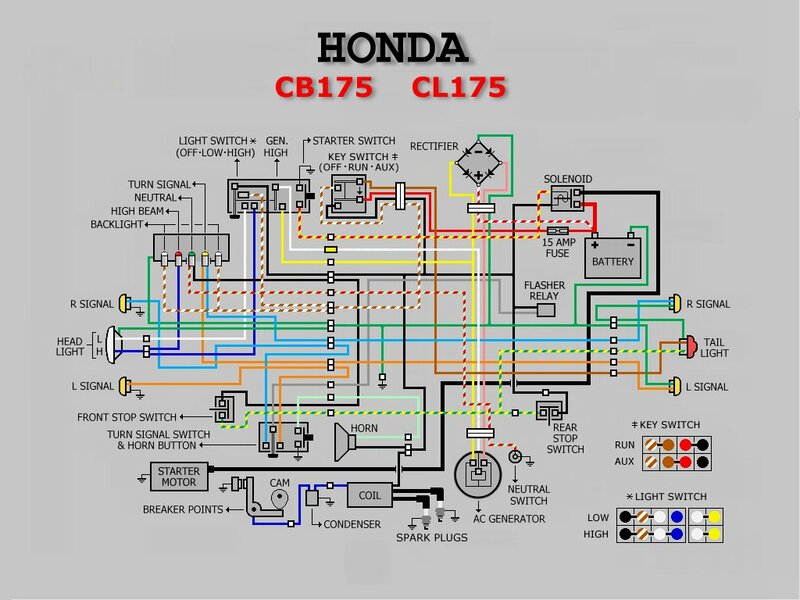 CL175WiringDiagram.jpg This is a wiring diagram sent in by one of this website's a readers. It would be helpful if you don't have the official manual, actually this diagram is clearer than the official one.